Both free and subscriber-only content will be uploaded on a daily basis during the 2008 Drum Corps International Summer Tour giving fans ultimate access to their favorite corps 24/7, all summer long. With unlimited access to the Drum Corps International audio/video vault, including all of the Top 12 World Championship performances since 1974, Fan Network subscribers also have access to live streaming video from select DCI events and post-show, on-demand replay videos as the season unfolds. All of this content, and more, is available for a new low subscription price of only $69. 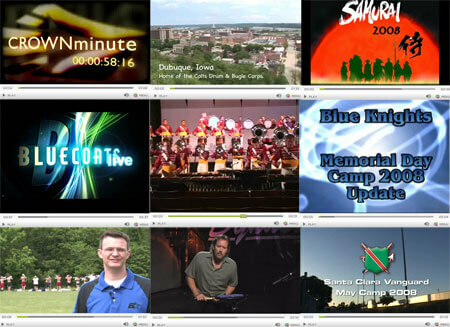 The '08 DCI Summer Tour has already started online! NOW is the time to join the all-new Fan Network through DCI.org or through the Web site of your favorite corps. Visit and subscribe to the Fan Network now.